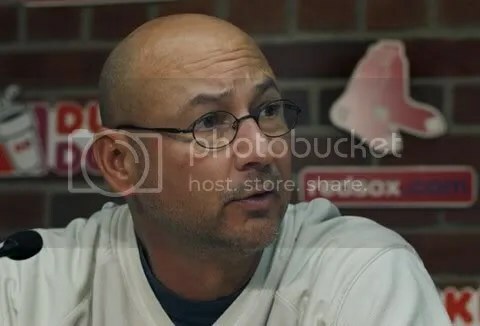 Francona at his last news conference with the Sox: classy to the end. Like any true Yankee fan, I quietly snickered when the Red Sox essentially pissed away the month of September, playing crummy ball and falling out of playoff contention. It’s nice to have a little ammo for the next time someone makes a snide comment about the Yankees “buying championships”. Yes, because Carl Crawford came so cheap. Selfish athletes can be found throughout the league, and baseball history is full of douchebag moves by douchebag owners and managers. This situation is, for the most part, no different. But…this crap about Terry Francona popping pills? REPREHENSIBLE. 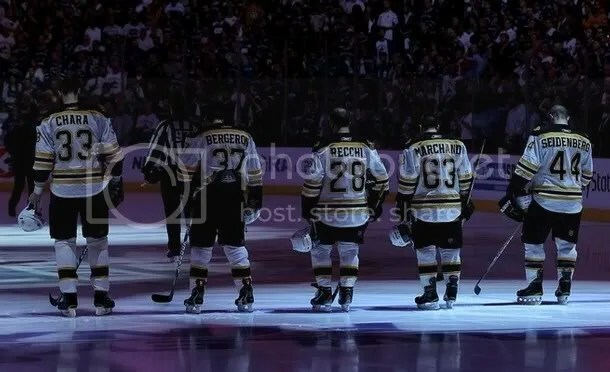 The man brought your organization two World Championships, slayed a supposed 86-year-old demon, dealt with effing Manny and this is how you thank him for his time in Boston? Dragging Francona’s personal issues out in public when the real problem is that you have $15 million pitchers who don’t have the decency and maturity to put down that bucket of KFC in the locker room and go support their teammates and stand by their manager when he obviously needed them most? Real classy, Henry, Werner and Co. Here’s a tip: when a staff member is dealing with personal issues – say, a crumbling marriage – try support and empathy you a-holes. Here’s how awful this is to Sox fans: one good friend of mine is shunning the team he has supported his entire life on account of this. And now that Theo heading to Chicago, this is likely Ben Cherington’s mess to clean up. 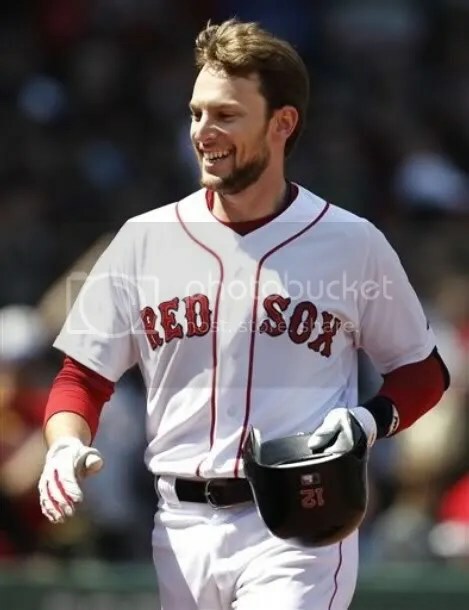 Thankfully, he has a bright spot in Dustin Pedroia, who still cares…until he has an opportunity to leave town. Could you blame him? Red Sox fans, you have given me hell over the years, but you don’t deserve this. Watching a team choke in September is bad enough, but that’s baseball. Watching the smearing of a beloved manager’s name is simply disgusting. And for that, I feel terrible for you guys. It’s Monday. How are your brackets looking? Like hell? Thought so. First of all, a warm welcome to our special guest Ladies… Bracket Brawl participants: Melissa_thistle, Courknee35, Big10Bias and fellow Canuck/friend of the blog Andrew Bucholtz (you will go read his blog The 55-Yard Line now, won’t you?) Our current leader isn’t in our Ladies… group – due to technical difficulties, we had to create another group on ESPN.com so one gal could get her picks in. That gal is Buffalita, leading the pack with 460 points and picking Ohio State to win it all. CuteSports and Raven round out the Top 3 at 440 and 430 points respectively. Any hopes I had of repeating last year’s surprise success have been flushed down the proverbial toilet. I blame Butler. Best of luck heading into Thursday! 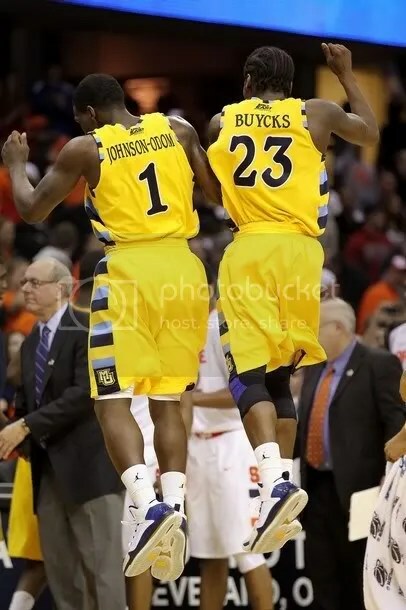 Sweet Sixteen will be hopefully be sweet for some of you.